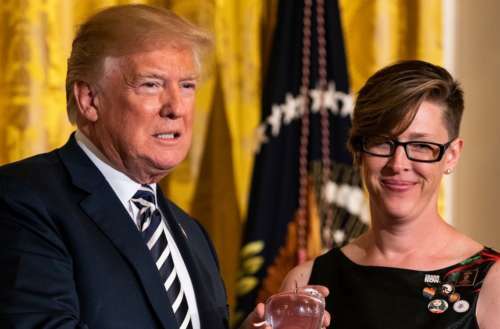 Today, U.S. President Donald Trump gave the National Teacher of the Year award to Mandy Manning, a teacher from Spokane, Washington who teaches English to immigrants and new refugees — you know, the sort of people Trump hates. As if awarding that weren’t irony enough, Manning also wore six buttons on her dress while accepting the award, including two expressing support for transgender and LGBTQ people. You go, Mandy! Manning teaches at the Newcomer Center at Joel E. Ferris High School and she might’ve taught Trump a thing or two, had he noticed the buttons on the front of her dress. Wow. We haven’t seen fashion-shade like this since Doug Jones’ adopted gay son Carson wore a rainbow flower and gave side eye to the anti-gay vice president during Doug’s senatorial swearing-in ceremony. Interestingly enough, Manning isn’t the first Teacher of the Year to put queer politics on display while meeting with President Trump. 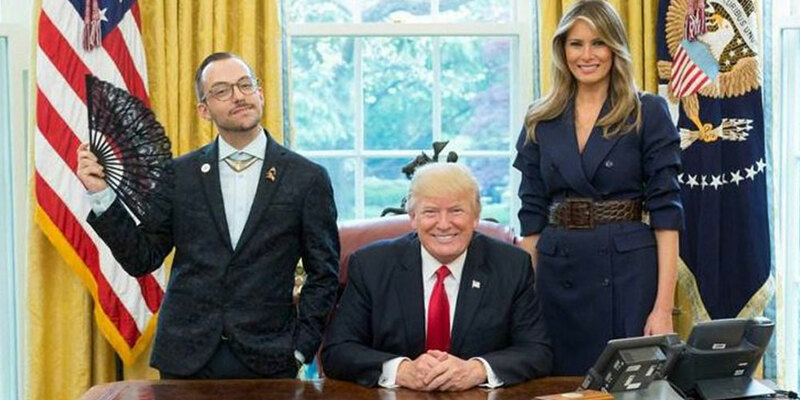 Just last year, Rhode Island’s 2017 Teacher of the Year Nikos Giannopoulos became internet famous after his photo with Trump and his wife Melania went viral. In the photo, Giannopoulos looked unapologetically, fabulously queer: wearing a rainbow pen, a stylish necklace and holding a black lace fan, his head humorously cocked to one side. 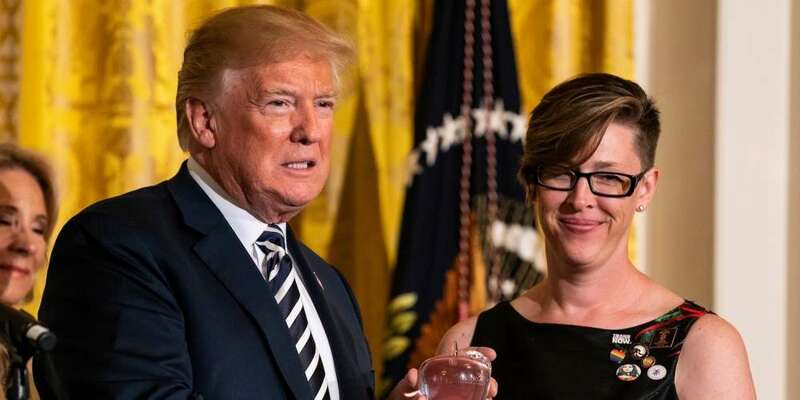 What do you think of the quiet protest of the 2018 National Teacher of the Year? 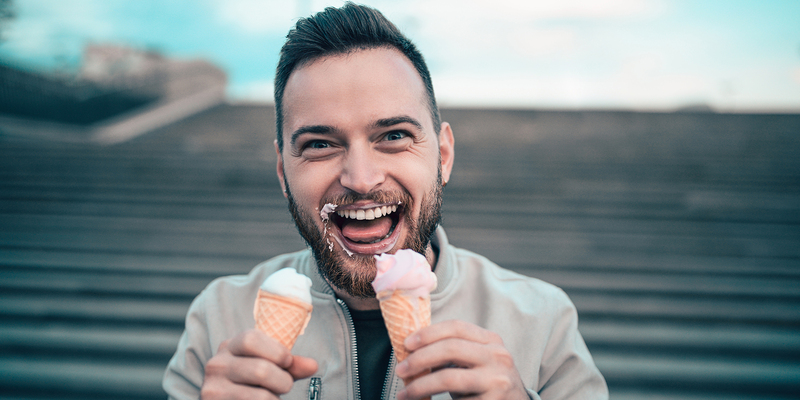 Sound off in the comments.